Carter’s self-story traces his introduction to sailing at the family summer home in Cape Cod, followed by his days at Yale and his early small-boat racing in International Fourteen dinghies in North America and Bermuda, and his Firefly racing in Europe and New England. (As an aside, it would be interesting to document the number of remarkable yacht designers and builders who came out of International Fourteens). After a lapse of time, his dinghy sailing was followed with his entry into offshore racing in the early 1960s with a Bill Tripp-designed Medalist 31. He named this boat, as he did all his boats, Rabbit. He even sailed the Medalist in the 1963 SORC, delivering the boat himself to New England and back from Florida. Carter then recounts his marketing efforts on behalf of Hood Sails. I don’t know whether Carter thumbed through old diaries and journals to document these early years, but his memory of these early boats and races is remarkable. In that, he seems to be typical of a lot of great sailors to whom I have spoken, all of whom seem to have vivid memories of individual races sailed lifetimes ago. However, it was an invitation from a friend in France to sail a sister Medalist in the 1963 Fastnet race that was his catalyst to launch a design career. 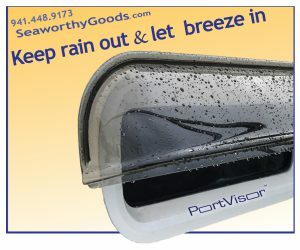 That race finished on the edge of control in a heavy-air spinnaker run to the finish at Plymouth. The boat owner’s simple question of “What would you do to improve the steering” led directly to Carter’s drawing, in the bedroom of his apartment, of his first ever design. He named her Rabbit. She was built in steel by Frans Maas in Holland. Although an unfamiliar approach today, building race boats in thin plate steel was not uncommon then (a young George Cuthbertson imported his steel-hulled CN-35s and early custom designs from a builder in Germany). Rabbit was designed to the European RORC rule, and featured a separate rudder and a shallower keel with a trim tab. Carter explains that Rabbit was designed more for footing than pointing, and was to be sailed more upright than was common for the day, something he had learned from his International 14 sailing. The early tune-ups prior to the Fastnet included racing Rabbit in the first modern One Ton Cup series in France, even though she was slightly too small for that rating. This was to get him hooked on level racing in offshore racers, specifically for the One Ton Cup. Carter and Rabbit would go on to win the 1965 Fastnet Race, establishing his design reputation. Rabbit was immediately followed by the design and building (also in steel by Maas) of his first true One Tonner, Tina, which, with Carter at the helm, won the One Ton Cup in 1966 and started his continuing battle with S&S for One Ton design supremacy. Now committed to yacht design as a career, Carter was an early proponent of a single international offshore rating rule to replace the RORC rule in Europe and the CCA Rule in North America, and was invited to sit on the IOR organizing committee. He even designed the famous cover of the new IOR rule, featuring the view of earth from space. With increased design orders, Carter needed to enlarge his design office, and moved into the old WW2 watch tower on his property on the Nahant Peninsula, north of Boston. The young designers who would work for Carter in “the Tower” included Doug Peterson (briefly and controversially, in Carter’s opinion), Bob Perry, Chuck Paine, and Yves-Marie Tanton, as well as Mark Lindsey. A truly impressive alumni roster! Carter’s Red Rooster, with her lift keel, won the 1969 Fastnet and was part of the victorious three-boat US Admirals’ Cup team. The lift keel concept was later used in a line of Southerly cruisers built in England, and in the Tanzer 10.5 in Canada. 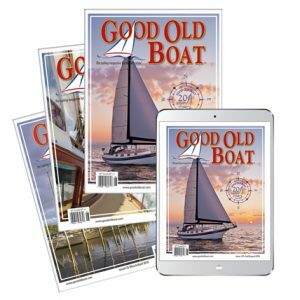 (Editor’s note: see Rob Mazza’s Design Comparison of the Tanzer 10.5 to the Southerly 115 and Clearwater 35 in the March 2019 issue of Good Old Boat). Carter then embarked on fiberglass production of his designs at Olympic Yachts in Greece, producing the Carter 33, 37, and 39, and then putting a marketing team together known as Carter Offshore. Gitana V for Baron Rothschild followed in 1970 and then the gigantic 120-foot Vendredi Treize for the singlehanded transatlantic race in 1972. The Carter 30 went into production in Poland in 1973. From this point, Carter chronicles individual designs, including the 1972 American Canada’s Cup contender, Aggressive, and the 1977 North American 40, both of which were familiar to me from my days at C&C, especially when the C&C 40 was racing against New York 40s and North American 40s on Long Island Sound for the next several summers. Carter’s autobiography delivers the “inside scoop” on a remarkable design career. Carter’s designs were focused more on European than North American racing, so there are probably fewer Carter-designed good old boats on this side of the pond than in Europe. 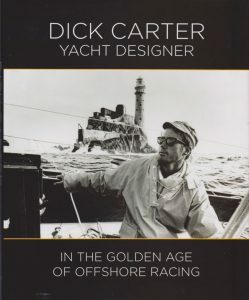 However, while the book chronicles Carter’s racing and yacht design in some detail, including settling some old scores, the book is short on personal information on Carter himself. 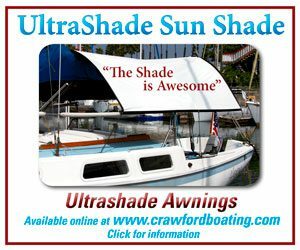 There are long gaps in his chronology when he was out of sailing, and it does not really explain in any detail why he packed up shop in the mid-80s. There is one short reference to some financial troubles in the 1970s that sank Carter Offshore, and other general comments about his opposition to the increased professionalism in the sport, the decline of the dual-purpose racer/cruiser in favor of stripped out racers, and the fact that the IOR encouraged lighter and lighter designs, with larger crews to keep them on their feet. Referring to some point in the mid-’80s, Carter wrote “It was time to pursue other interests and turn the page.” However, he doesn’t reveal what those other interests are, or what he’s been doing for the last 35 years! Despite that shortcoming, Carter’s autobiography does a great job documenting his part in the history of yachting. For that reason, it would be an important addition to any nautical library. And it’s well worth the read. 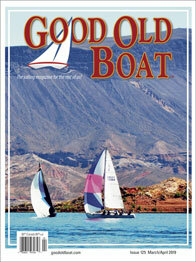 Rob Mazza is a Good Old Boat contributing editor. He set out on his career as a naval architect in the late 1960s, working for Cuthbertson & Cassian. 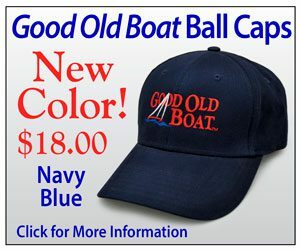 He’s been familiar with good old boats from the time they were new, and has had a hand in designing a good many of them. 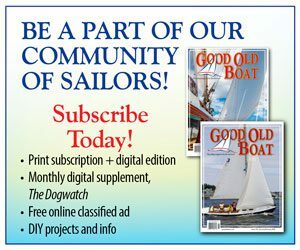 Good Old Boat Magazine - News Flash! Our website is getting some long overdue improvements! 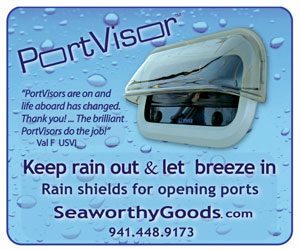 Audioseastories.com will soon be merged with our Goodoldboat.com website. Thanks for your patience, more to come!